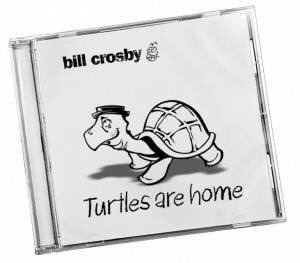 “Turtles are home” is a song that lopes along about acceptance, humility, comfort, stick-to-it-ness, and ambition. And yes, it’s slow. It features Matt Walker from the Nashville Symphony on cello. “Beautiful day” is a funky, uplifting, positively catchy song about ‘carpe diem’ but, it’s in English. Featuring LA musician Scott Mayo on saxophone! There’s also a random tuba interlude (because I love tubas). “It’s OK!” is a song about acceptance, humility…oh,wait, I used that all ready…I mean, being yourself and being different. I’ve been listening and loving New Orleans music for a few years now, and this song exemplifies that influence. Trumpet, trombone, and tuba (because I love tubas) with percussion, and some swinging vocals. “Platypus” is a standard chord progression, but I added some baritone sax and a fat Les Paul guitar. So, it’s simple, but rockin’ cool. I tried to be educational, and positive, too! We’re all special in our own way, but the platypus is weird. When it was first discovered, scientists thought someone had surgically enhanced him from different animal parts. I have to ask: “Who would do such a thing?” 🙂 “Tummies” is a silly chant I thought of one day out of the blue that I made into a song about stomach noises.L oads of percussion and drums, a little sax thrown in for sweetening and a chorus that repeats like a bad meal. “Happy to be home” is just a happy tune. Reggae groove,horns, great background vocals from Francie Smith, and sweet as apple pie. I try to create music that is family friendly, fun, and catchy!